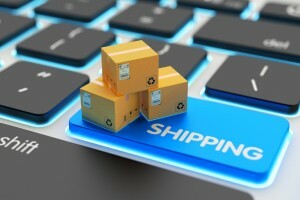 Home » Blog » What Is Zone Skipping for Order Shipping? Zone skipping was created to help make shipping individual packages or less-than-truckload shipments easier. Instead of delivering each package to its final destination facility, the items are consolidated into one full truckload and shipped to a delivery point, where the carrier can pick them up and distribute them from there. Combining shipments can be extremely cost-effective for businesses and lessen the wait time for customers anticipating their packages. How can zone skipping reduce the cost of shipping and reduce transport time? When companies like UPS ship using this tactic, they’re able to save a ton of money because they consolidate many packages into one large shipment. These savings can trickle down to the marketer and end users, and they can benefit everyone involved in the transaction. For example, if a company needs to ship 3,000 packages from New York to California at $10.00 each, they’ll end up incurring $30,000 in shipping costs. If they were to consolidate these packages and send them as a full truckload, they could cut that cost down to a mere $3,000, after which they’d only need to pay for the shipping from the carrier’s facility to the customer. Therefore, the company would have a total savings of over $5,000 when all is said and done. Are There Any Downsides to Zone Skipping? The only disadvantage to zone skipping is that orders won’t be able to be shipped immediately; they will be held until enough volume is accumulated to fill an entire truckload. This may not be a problem for some businesses that consistently have a high level of orders, but can be a complication for companies whose order rate is uncertain. If order volume is low or unpredictable, then waiting for enough orders to fill a truckload to take advantage of zone skipping can be detrimental. If you want to take advantage of the benefits that zone skipping and other logistics techniques have to offer, call APS Fulfillment, Inc. today. We’re a top-tier fulfillment company based in Florida, and we thrive on helping small- to medium-sized companies fulfill their logistics goals. Customers have come to expect cheap, fast shipping on nearly all e-commerce orders, and we aim to provide just that. Enhance your supply chain by allowing APS Fulfillment to handle all of your transport and shipping services. Contact us today for more information about how our logistic services can help support your growing business.